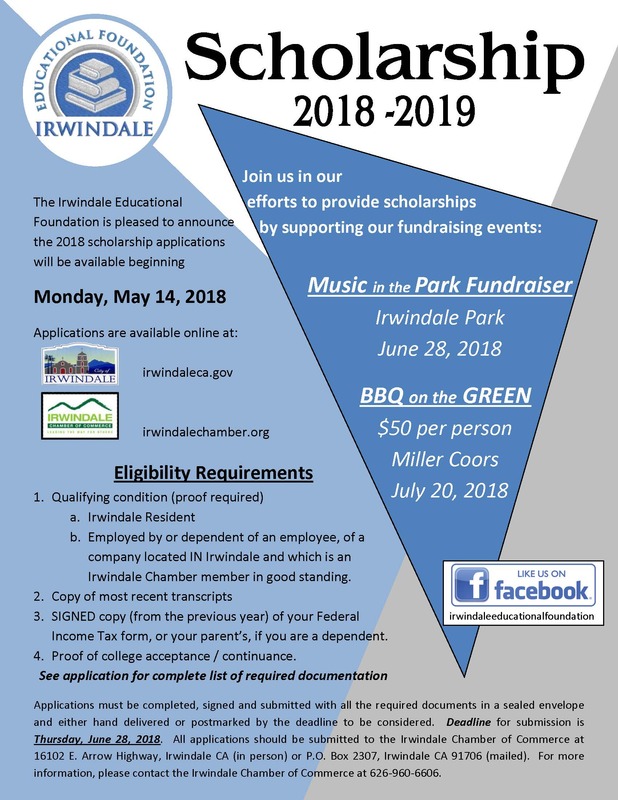 THE IRWINDALE EDUCATION FOUNDATION, IN EFFORTS TO PROVIDE SCHOLARSHIPS. To become a sponsor click here and download flyer. June 27th, Music in the Park Fundraiser at Irwindale Park.